The first exhibitor announcements at the IFAT Media Dialog already showed: IFAT 2018 will cover all aspects of modern water and wastewater management. Expanded by two additional halls, which are fully occupied already, the World's Leading Trade Fair for Water, Sewage, Waste and Raw Materials Management will take place at Munich’s exhibition center from May 14 to 18. Seven leading well construction companies from Germany for the first time will have a shared booth at IFAT. The umbrella organization of the “Water from Wells” stand is the Expert Group Water Extraction of the Federal Association of Companies in the Gas and Water Industries (figawa). At the booth, the professional public can obtain information on current solutions, technologies and services, including flood control during and flood management with the construction of wells, restoration and replacement of outdated wells and the correct and safe realization of larger-diameter wells. It goes without saying that IFAT will also cover the hot topics of digitization and automation. “Water 4.0” promises enhanced conservation of resources, higher flexibility, greater efficiency, improved competitiveness and increased security of supply in water management. Companies and municipalities can, for example, plan, simulate and optimize plants and processes by means of a “Digital Twin”. With a central exhibit titled “From Integrated Engineering to Integrated Operation” Siemens will demonstrate the opportunities of data integration throughout the complete plant life cycle: from the engineering software solution Comos and the process control system Simatic PCS 7 to the simulation software Simit and the integration of substations based on the Totally Integrated Automation (TIA) Portal. The new, mobile operations management system Pramos, which plant manufacturer PWT Wasser- und Abwassertechnik will introduce at IFAT, uses one single database, i.e. every value needs to be entered only once and is available for all parties involved at any time. Written notes and subsequent data entries are thus a thing of the past in drinking water and treatment plants. Additional plus: the brand-independent system also works offline. Data are entered in the mobile device—smartphone, tablet or data goggles—where they are processed autonomously and are then synchronized with the main system’s database as soon as the device is connected to the internet again. In 2018, digitization will be one of the constant themes in IFAT’s range of exhibits: machine manufacturer Huber SE describes its new system for detecting contaminants in screens as globally unique. Using high-tech sensors, “Huber Safety Vision” continuously measures the form and size of the coarse materials transported by the screen rake. Whenever the system detects any impermissible coarse material, the screen is stopped, and a warning message is sent to the plant operator. Blockages and damages to the screen or downstream units are thus prevented. Just in time for IFAT 2018, inge GmbH—a global leader in ultrafiltration technology—will launch a mobile app for its project planning software iSD previously available for PCs. According to the company, the software offers completely new process-related options: the online version and app can now also simulate complex scenarios, such as the coordination of several ultrafiltration racks. Hence, iSD is particularly suitable for planning and designing large-scale projects, for example seawater desalination projects. In addition to the solutions from the universe of bits and bytes, exhibitors will also present many analog innovations. One example: Mall, the specialist for the construction of treatment plants, separator systems and rainwater management, will introduce the new small treatment plant SanoLoop. The aerobic system works with the One Chamber Reactor (OCR) procedure, an advancement of the known Sequencing Batch Reactor (SBR) procedure and cleans wastewater without preparation within 24 hours. The system does without immersed electrical parts and, coming without separation walls and only a few mounting parts, is designed for ruggedness. The manufacturer states that unpleasant odors, corrosion and sludge are prevented. 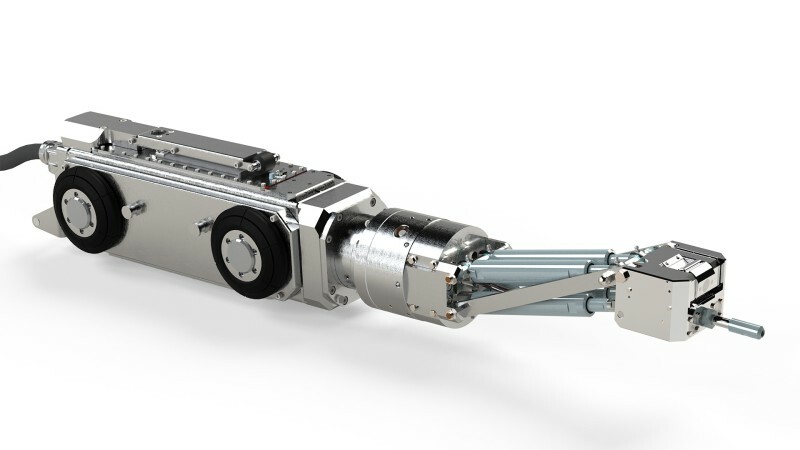 Banking on its extensive experience, Mauerspecht GmbH, a specialist service provider for sewer cleaning and renovation, developed the maximum-pressure water-jet robot bruNO 1.0, sold under the trademark Drain-Jet Robotics. With a working pressure of up to 1,500 bar and a water consumption of a maximum of 26 liters per minute, the system not only removes lime, incrustations, roots and worn liners from the sewer walls, but also bitumen, fats, concrete and other foreign bodies, as stated by the manufacturer. bruNO 1.0 can be used in pipes from DN 150 up to accessible sewers. The engineering company Flottweg is specialized in separating and concentrating mixtures of liquids and solids, for example centrifugal dewatering of sewage sludge. 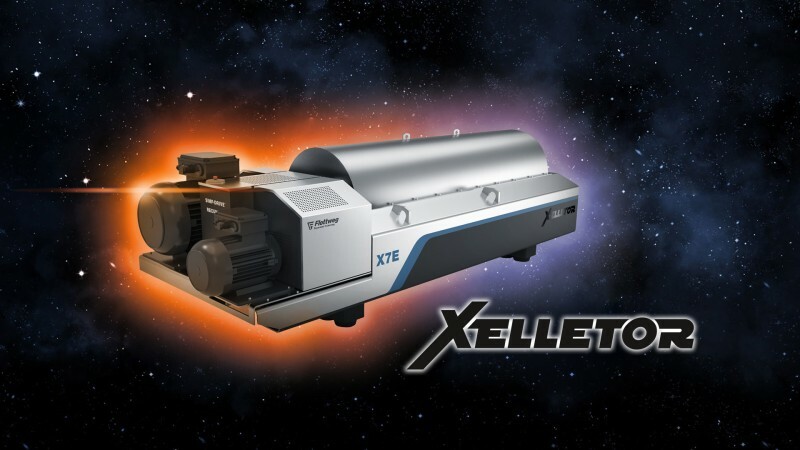 In May 2018, the company will take the next step: the centrifuges of the brand-new Xelletor series offer a considerably higher dewatering capacity—although the consumption of energy and polymer flocculant is reduced. The Canadian company Ostara put facilities to recover phosphorous and nitrogen from wastewater streams into operation—in the U.S., Canada, UK, Spain and the Netherlands. With its presentation at IFAT, the company wishes to win further country markets for the resource-saving procedure which, as claimed by Ostara, can be easily integrated into treatment plants with biological phosphorous removal. At the end of the “Wasstrip and Pearl Process”, there is a marketable, granulated and high-quality fertilizer with a guaranteed composition of phosphorous, nitrogen and magnesium. Ostara buys the produced “Crystal Green” from the treatment plant operators and sells it to the agriculture and horticulture industries. For the centrifugal dewatering of sewage sludge. The centrifuges of the Xelletor series.